It had all the hallmarks of a good story. Journalists from around the world, renewed with a sense of vigor amidst a political maelstrom, braved hazardous weather conditions to talk shop and glean insight from each other, to continue to fulfill their purpose in society. 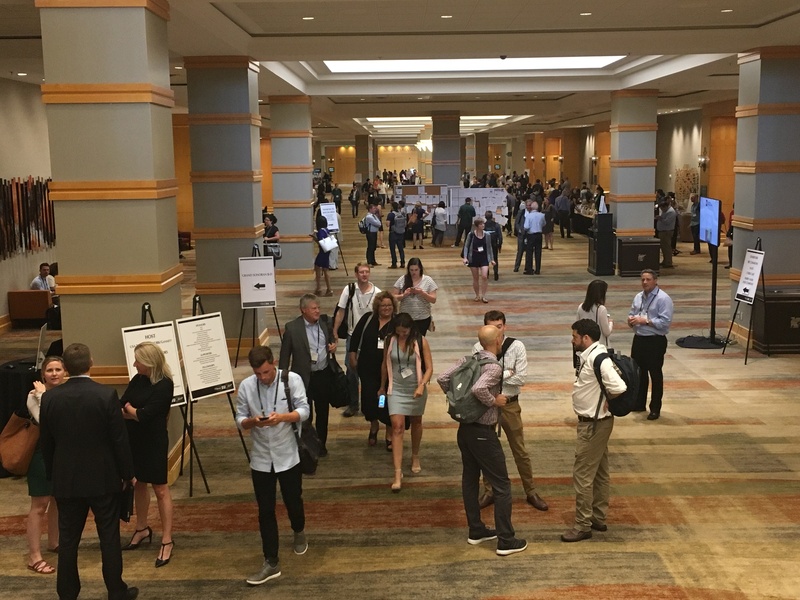 As the annual Investigative Reporters & Editors (IRE) Conference unfolded this year in Phoenix, Arizona, from June 22-25, daily temperatures of 117 degrees became the new normal for the unfamiliar. Attendees took refuge in more than 150 panels, hands-on classes and presentations in AC-filled rooms. As with many conferences, networking and catching up with friends was an added benefit to the tips and strategizing. But real talk from some attendees and speakers show that while inspiration is up, the hard work of digging for details, getting audiences to care, and accurately reflecting society continues to be a struggle. A conference for “investigative journalists” doesn’t necessarily attract journalists who only do investigative journalism — the kind of journalism that may take months or years, and focuses on proving wrongdoing and holding authorities accountable. It’s also the premier conference for television producers and reporters, many of whom are on contracts and looking to network for the next opportunity, said Ken Foskett, an investigative editor at the Atlanta Journal-Constitution, who moderated a panel on police misconduct. That the masses continue to get most news from television is a good reality check for “liberal elite” journalists who spend their time refreshing Twitter and launching podcasts on niche topics. 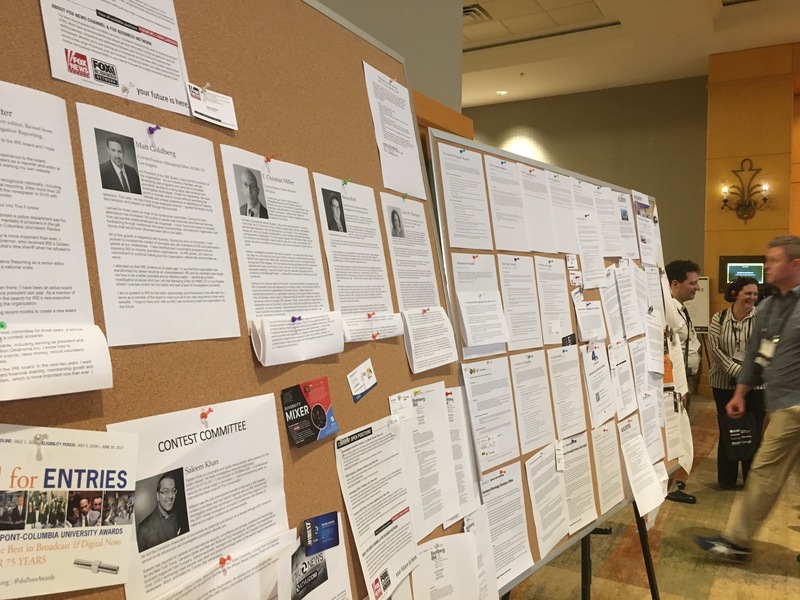 Indeed, the 2016 election, its aftermath and President Trump’s “war with the media” cast a more somber tone this year, said Foskett, who has attended the conference multiple times since IRE was founded in 1977. “I think there is definitely this sort of cloud that’s hanging over the profession — the fact that we’re under siege, that we’re the enemy of the people,” he said. While the New York Times and Washington Post bring bravos for their scoops on the Trump administration, several attendees told me they don’t regularly do investigative work, in part because it’s expensive, time-consuming and lacks editorial supervision. That’s not to say they aren’t determined to incorporate it more into the daily news grind, though — largely in part to gain and renew audience trust. The array of panels this year, including covering sovereign nations and religious authorities, and tracking court records and cold cases, highlights where journalists are trying to make inroads. One of the more crowded discussions at this year’s conference was “The art of investigative storytelling,” which discussed how journalists can actually get more traction on their stories — the focus being on stories. “Scoops are reported, stories are told,” Julian Sher, an IRE speaker and senior producer of the Canadian Broadcasting Corporation’s weekly investigative TV show, The Fifth Estate, emphasized during the panel. Reporters immediately tweeted and retweeted the line. Sher broke it down further during one of the breaks at the conference. “People are busy people. People are rushed. There’s this whole explosion of fake news,” he told me. Audiences may realize more the necessity of growing their news literacy, but journalists also need to help them sift through the noise. “The only way to do that is to engage people the same way they’re engaged when they read a wonderful novel on the beach, or when they go see a great movie in the cinema, or when they watch their favorite TV show,” Sher said, noting the popularity of investigative books and Netflix documentaries. Fake news rides off of “fables” that go viral, he said. That only underscores how important good story is to journalism — especially investigative journalism. As with many journalism gatherings now, the failure of the industry to accurately reflect its audiences loomed — from panels geared toward cultivating more diverse newsrooms, to the number of conference-goers attending thanks to fellowships catered to promoting diversity,* to the emphasis of keynote speaker Nikole Hannah-Jones during the luncheon announcing this year’s IRE awards winners.”I’ll solve your newsroom diversity problem in 10 seconds,” she said to an audience that undoubtedly included hiring managers. “Hire people of color.” The some 1600 people before her clapped and cheered loudly, and gave her a standing ovation. The conference wasn’t all white. Nor did it include only older reporters. 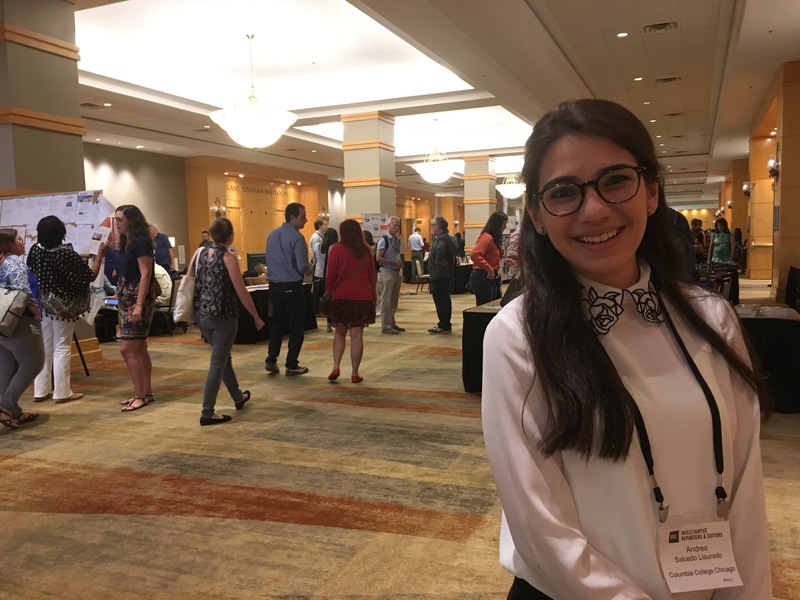 Andrea Salcedo, a 21-year-old native of Panama City, Panama, and multimedia journalism student at Columbia College Chicago, attended on the auspices of a fellowship sponsored by Columbia Journalism School. While younger reporters do often have to wait their turn to report investigative news, she finds the beauty of being a student is that you can ask any question you want of journalists. Intimidation or feeling like you’re outside networks should not be a problem. “Because…who doesn’t want to help a student, especially if you’re a journalist,” she said. “You start somewhere, so you want to help them,” she continued, describing the presumed mindset of the people she’s questioning. It’s a frame of mind all journalists should keep. This piece originally published June 28, 2017, on MediaShift.